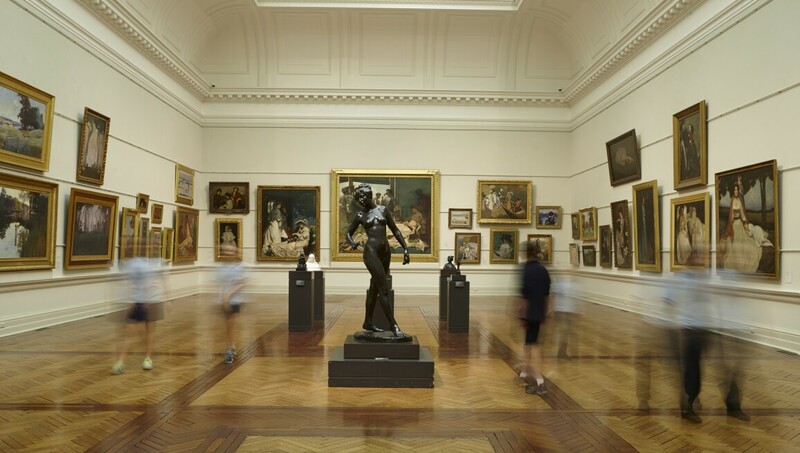 Established in 1871, The Art Gallery of New South Wales (AGNSW) is one of Australia’s foremost cultural institutions and Sydney’s leading art gallery. With its imposing neoclassical Greek facade, location next to the Royal Botanic Gardens, and views overlooking Sydney Harbor, it is considered among the most beautiful museums in the world. As well as regularly hosting blockbuster international touring exhibitions, it holds an outstanding permanent collection of Australian art, with dedicated galleries celebrating Asian, Aboriginal and Torres Strait Islander art. It presents more than 30 temporary exhibitions annually, the majority of which are free to the public.